Email is an incredible marketing tool for small business owners. Not only is email cost effective, but it allows you to reach thousands of people at once. If you’ve got a stale email list though, all that marketing won’t do anything. If you send an email to 10,000 people about a sale, product, or service and you don’t get many replies, you’ve almost certainly got a stale email list on your hands. Aim for at least a 5 percent reply rate. Getting a lot of bounce back emails telling you that your message could not be delivered is a huge problem. Keeping old email addresses costs you money that you’ll never get back. Technically, your email list goes stale after about six months from the initial subscription date. If you don’t update your subscribers, you’ve got a stale list in half a year. Once you’ve found that you’ve got a stale email list, there are ways you can fix it. Even though subscribers opted in to your email list, they can forget they did or become uninterested in your brand over time. In some cases, they may not need your service or product anymore, at least for the time being. Send a reconfirmation email to subscribers and let them know why they should stick with you. Doing this will net you an audience of potential customers who really are interested in your company. Run reports of all your bounced emails after each campaign send and update your list accordingly. Remove duplicates, improperly formatted, and email addresses with syntax errors. 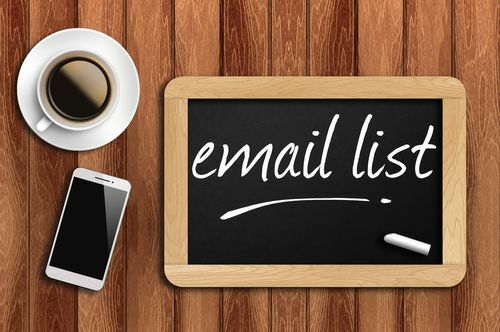 Sorting out an email list on your own can be daunting. With a list containing thousands of email addresses, who has time to confirm them all? There are services that can help you with this, such as Data Validation and BrightVerify.